On September 10, 1993, the pilot episode of The X-Files aired on Fox and over the years has become one of the most iconic television shows of all time. Over the first 5 seasons, viewers saw the relationship between FBI Agents Mulder and Scully build, secrets and dangers arise, and many different creatures and entities you saw in your nightmares later that night. 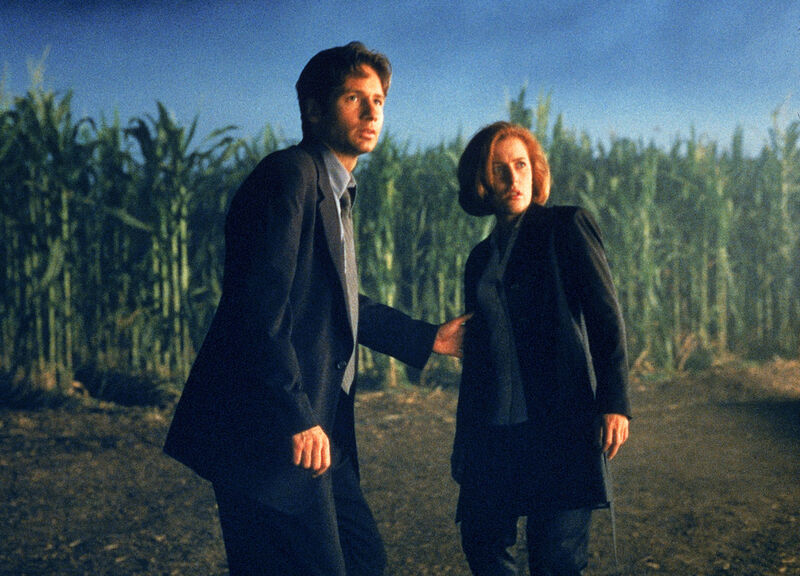 To bridge the gap from the cliffhanger ending of season 5 to the beginning of season 6, show creator Christ Carter and long time X-Files director Rob Bowman created The X-Files: Fight the Future. This film was met with some good reviews and some not good ones, but I want to believe that it deepened the lore of the show in ways that weren’t done before, while answering a few questions and raising many others. After the X-Files are closed, Special Agents Fox Mulder (David Duchovny) and Dana Scully (Gillian Anderson) are reassigned to other projects. After a federal building is blown up in Dallas and the bodies of a couple of fire fighters and a kid are discovered, the two agents are blamed for breaking protocol. Mulder isn’t satisfied with this responsibility so along with Scully, they begin investigating and find the people were dead before they even arrived in Dallas. This investigation stirs the attention of a mysterious doctor named Kurtzweil (Martin Landau) and also forces the Cigarette Smoking Man (William B. Davis) to come out of hiding to assist the Syndicate to help cover up this incident and make sure no one out of their reach learns of the work they’re doing with the recurring threat of the black oil and what they are trying to achieve with hidden extraterrestrial colonists. When this movie first came out, Chris Carter said that he wanted it to appeal to fans of the show and give them more than what an average episode could, but he also wanted the movie to attract new audiences and work well as a stand alone story. While it can be argued that it succeeds in doing that, it really works best for fans of the show. There are so many really cool nods and references to the show and by this point the lore is so deep and twisted that it would be hard to dive right into the movie and expect to get everything. That being said, fans of the show should really enjoy this movie because favorite characters are brought back for an adventure on a much bigger scale and we finally get some answers about the black oil and what’s really going on with the alien colonists. Don’t expect all of your questions to be answered by the end, however. There was still a lot more show to come at that point. Like I said, one of the main reasons to watch The X-Files: Fight the Future is to see your favorite characters standing up to another adventure. Duchovny and Anderson prove that they have what it took to be big screen stars, and this wasn’t the last time they would star in a big budget X-Files movie. 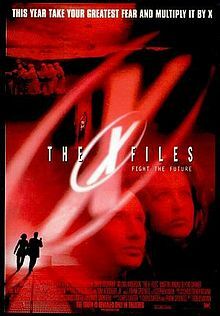 They would return to theaters once again in 2008 for the film The X-Files: I Want to Believe. Mulder and Scully have become beloved characters over the years and their partnership one of the strongest on t.v. Not only do we get two of our favorite agents, but also William B. Davis, John Neville, and Mitch Pileggi return as The Cigarette Smoking Man, The Well Manicured Man, and Walter Skinner respectively. That would have been enough to please me, but throw an actor like Martin Landau into the mix in a completely new role for the story, and you got yourself a great and memorable cast. A lot of people have said that this film felt underwhelming because it played like a long episode of the series. Since this isn’t the big finale, I’m fine with it feeling like an extended episode. Of course, there are scenes that are a lot more impressive than anything you’d see on the show. A couple of examples include a helicopter chasing the agents through a corn field and a U.F.O. flying high over the heads of the agents. What this movie does is tie up the cliffhanger that ended season 5 and also get the audience deeper into the lore for their journey into the show’s sixth season. The X-Files: Fight the Future is a must see for any fan of the show. It shakes up the lore while also tying up loose ends and throwing in some twists that you never saw coming. It features all my favorite characters from the show and offers a lot of new questions and directions the overall plot may be heading towards. For people new to the world of The X-Files, it would probably feel more confusing and unfulfilling than anything else, and that’s really the only negative thing I can say. It felt like a great extended episode of the series with a huge budget and a lot of talent working behind the scenes and onscreen.